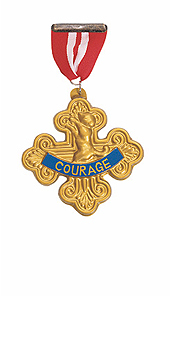 *One plastic badge of courage for the cowardly lion. Plastic Medal with pin to secure. Badge measures 10.5cm across.